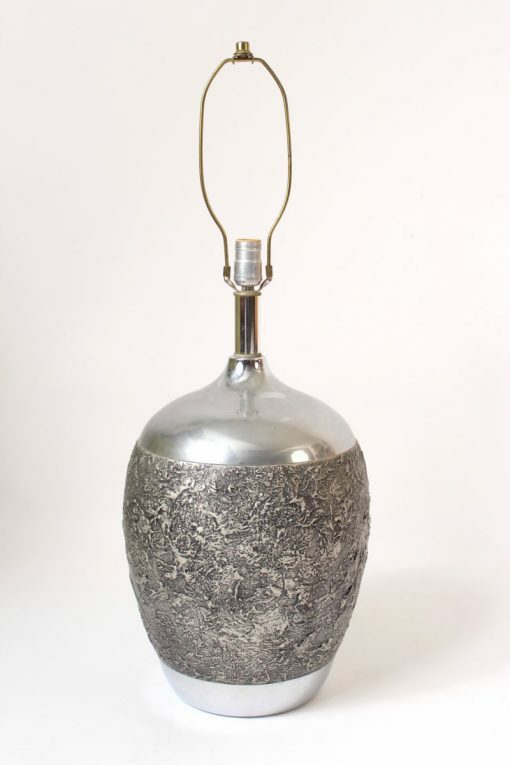 Mid century modern / brutalist stoneware and chrome table lamp, circa 1970. Height from base to beginning of electrical fittings 17.5″. Height to top of lamp finial 30″.